(Newser) – A man who set up a TV station in New York state to counter negative stereotypes about Muslims has been found guilty of beheading his wife in what lawyers say appears to have been an "honor killing." 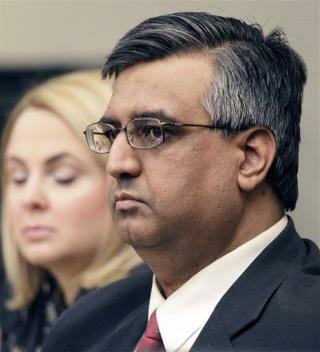 Muzzammil Hassan, the Pakistan-born owner of Buffalo's Bridges TV, will be sentenced to 25 years to life for killing his wife with two hunting knives 6 days after she filed for divorce, the Guardian reports. Hassan, who acted as his own attorney, claimed that he was a battered husband who acted in self-defense, although the prosecution produced plenty of evidence to prove that his wife was the battered one. In a bizarre 2-hour closing statement, he didn't mention the murder but compared himself to Nelson Mandela and said a "religion of patriarchy" had "unleashed a bloodbath on American women because battered men have no legal way out." The jury deliberated for under an hour before finding him guilty. Even a self-appointed ambassador for the the "religion of peace" couldn't help himself. Defend it to the death liberals.